British publications are pretty obsessed on the issue between Meghan Markle, the Queen and her jewelry collection. But reports are a bit confusing since some reports say that Her Majesty banned the Duchess of Sussex from using them, while other outlets say that it’s not something that the generous monarch would do. Last week, royal family fans were shocked when The Sun reported that Queen Elizabeth II banned Meghan from wearing pieces of jewelry from the Royal Collection that were previously worn by Princess Diana. More intriguing yet is that the article title said that while Meghan can’t wear them, Kate Middleton is surprisingly allowed, although it’s a bit hard to verify this story as the source is unidentified. More recently, Express.com ran another royal jewelry story. 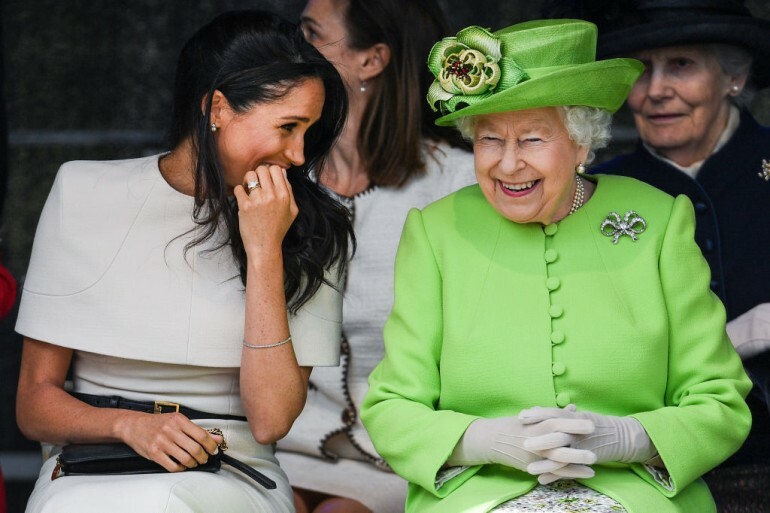 This time, it’s even more specific because the article said that it was reportedly the Queen herself who denied Meghan’s request to borrow a necklace. “There was this row where Meghan wanted this particular necklace, Harry said ‘Meghan gets what Meghan wants,’ and the Queen turned around and said ‘oh, no, she doesn’t. I decide what necklace is going to be worn out of the Royal Collection,’” commentator Gavin Gray spoke on the British show “Studio 10,” according to Express. However, this story about Queen Elizabeth II banning the duchess from borrowing some jewelry is now being challenged by other sources. For instance, Vanity Fair recently ran an article titled “Meghan Markle Will Be Borrowing the Queen’s Jewelry After All,” which basically says that the banning rumors are false. A concrete proof of the Queen’s generosity is that she recently opened up her Royal Collection to Prince Harry and Meghan. Her Majesty allowed the Duke and Duchess of Sussex to choose art pieced from this massive collection, which includes priceless works by masters such as Michelangelo, Rembrandt, Canaletto, Leonardo Da Vinci and Andy Warhol. People also conclude that based on evidence, the jewelry ban story is likely untrue. The reason is that Meghan has been seen with some pieces of the jewelry from the Queen’s Royal Collection in the past. Of course, it’s really hard to confirm these rumors. The royal family will usually keep mum on issues unless necessary.